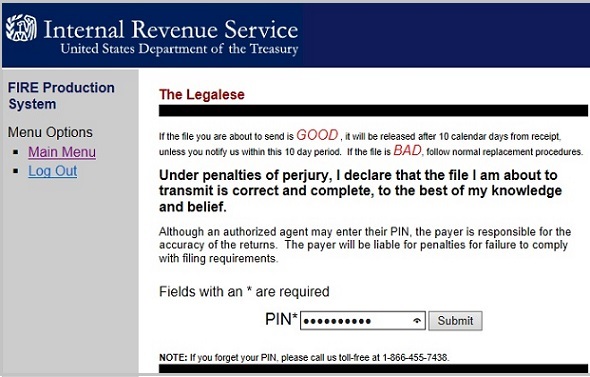 ez1099 software can paper print 1099s forms that you can mail to IRS office. 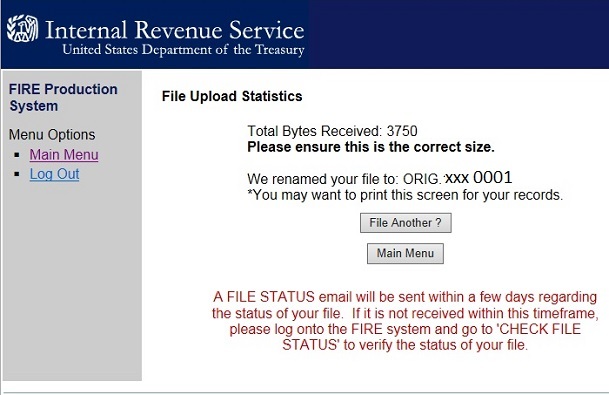 If you decide to go paperless, ez1099 software (Advance Version) can also generate the efile document that you can upload to IRS FIRE system for form 1099s electronic filing. If you have not generated the 1099 efile document, you can refer to this article for step by step guide on how to generate the 1099 Efile document. 1. 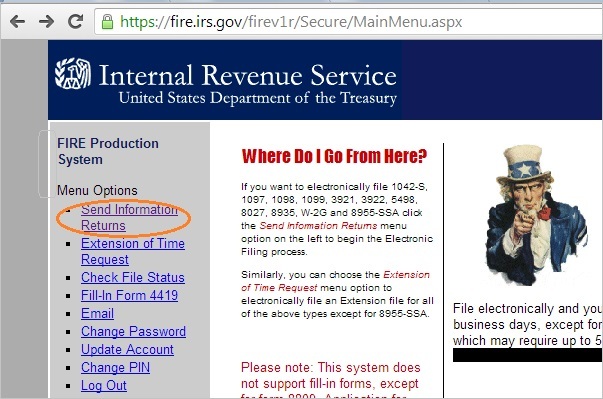 Go to IRS site. 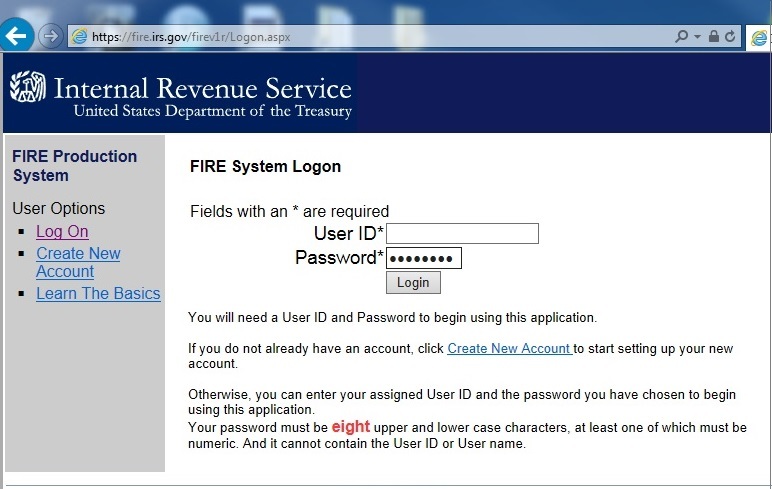 If you are a new user, you need to create a FIRE account on the FIRE system. You need enter your company name, company address, company phone number, contact name and email address. You can create the account before you get your transmitter control code. 4. 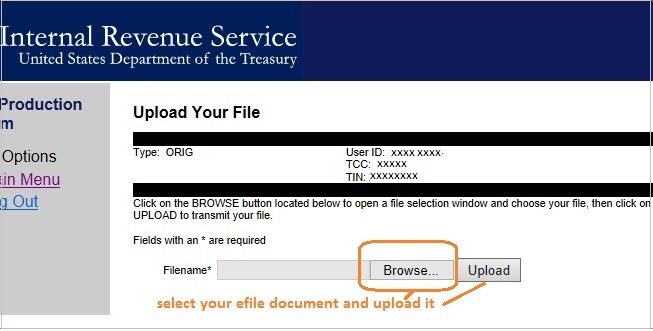 Then choose the option "Send Information Returns"
If you are a new user of IRS EFILE service, you need to apply TCC code (Transmitter Control Code) to generate the efile document. You can learn more on how to apply TCC code in NOTE part below. When the upload is complete, the screen will display the total bytes received and display the name of the file just uploaded. 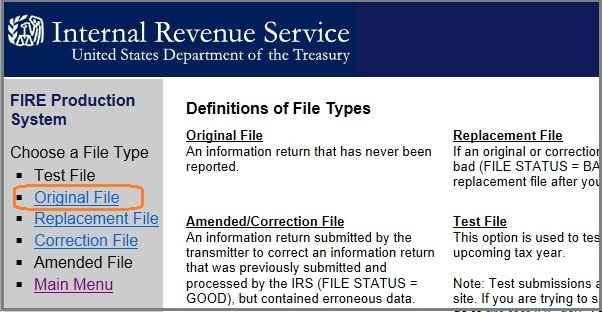 If this is not displayed on your screen, IRS probably did not receive the file. To verify, go to Check File Status option on the main menu. If the file name is displayed and the count is equal to ‘0’ and the results indicate ‘not yet processed’, then we received the file. If the filename is not displayed, send the file again. You can click here to learn more details on how to look up 1099 tax return status after efile it. 1. 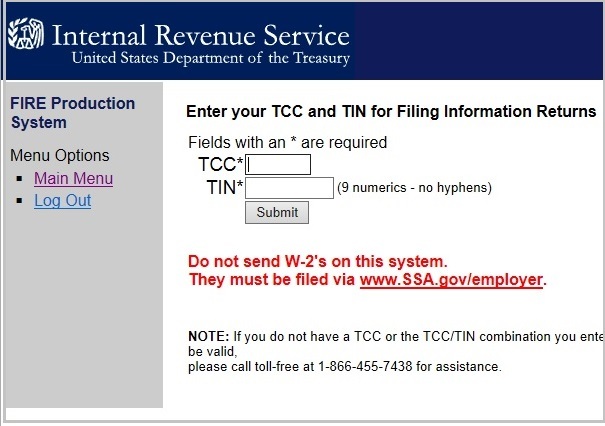 If you are a new user of IRS EFILE service, you need to apply TCC code (Transmitter Control Code) to generate the efile document. You also need to create a FIRE account to upload your file. If you are new user of IRS efile service, you should request a transmitter control code (TCC) by filling out IRS Form 4419, "Application for Filing Information Returns Electronically." You need to mail or fax the form to the IRS at least 30 days before the deadline for filing 1099s. The IRS will send your 5-character transmitter control code by mail once the application is approved. Upon approval, a five-character alpha/numeric Transmitter Control Code (TCC) will be assigned and mailed to you. Form 4419 should be submitted to IRS at least 30 days before the due date of the returns for current year processing.